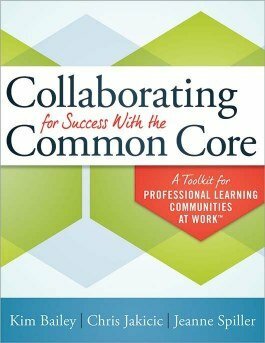 Leverage teamwork to integrate the CCSS into your curriculum, and build on a foundational knowledge of PLCs. You'll gain a comprehensive understanding of the shifts required to implement the standards in core content areas and find valuable tips and strategies for creating strong collaborative practices. Identify the essential standards, determine learning targets, define proficiency, learn how to design rigorous assessments, and more. Gain a comprehensive understanding of the CCSS for English language arts and mathematics. Navigate the shifts required by the CCSS for curriculum, instruction, assessment, and intervention. Learn how collaborative teams within a PLC provide the support necessary for successful transition to the CCSS. Unpack and power the CCSS to deliver a viable and guaranteed curriculum. Understand how to scale learning targets drawing on well-known taxonomies of levels of thinking.